Women fit for work after the delousing process. 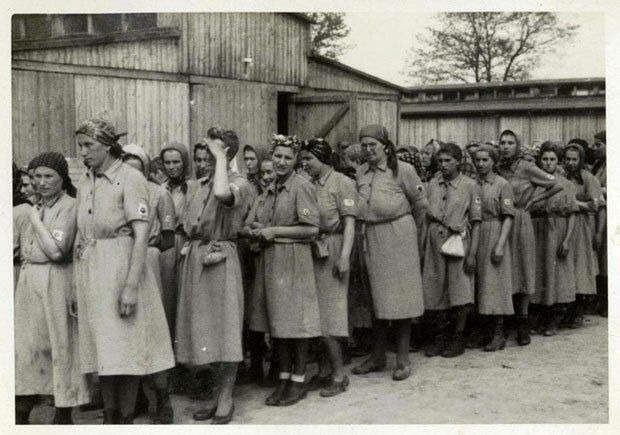 The disinfection of those not selected for the gas chambers, and the shaving of their heads, was all part of the "registration" process at the camp. After they finished, they were given the prison uniforms seen in the picture.